Founded in the 1970’s as one of a host of companies building on the semi-conductor boom of that period, Western Digital has an impressive pedigree in the IT storage industry dating back to the 80’s as manufacturers of hard disk drive controllers. Since then the name became synonymous with performance-leading products in the HDD field, capped by the WD Raptor series in the mid-2000’s. WD controls tens of thousands of relevant patents that define the modern storage drive, which is a testament to their status as a veritable 900lb gorilla in the market. Those who grew up with PCs and took any sort of interest in their components will undoubtedly recognise the name. From 2010 the landscape of storage in IT changed immeasurably thanks to the introduction of affordable NAND flash Solid State Drives in both enterprise and consumer-level markets. Initially used to augment system performance alongside conventional HDDs, SSDs have since grown to eclipse mechanical storage media in most markets where copious capacity isn’t the main requirement. This has led to a consolidation of HDD manufacturers, including WD’s acquisition of HGST (formerly Hitachi Global Storage Technologies) in 2012, and WD’s need to diversify into this still-growing sector. In 2016 WD acquired SanDisk, a US manufacturer of memory and NAND-based products that itself was a veteran of the PC Storage industry and the third largest manufacturer of memory worldwide at the time. SanDisk value wasn’t just in a wide product portfolio, but also the expertise needed to introduce the WD brand to high performance SSD storage. They continue to push the envelope of NAND manufacturing today, exemplified by the development of 96-layer 3D NAND memory that further improves drive capacity. This acquisition also coincided with another important development in the PC market: the NVMe storage standard and its adoption on mainstream computing platforms. Sidestepping the limitations of SATA to interface directly with the storage controller over high-speed PCI-Express lanes, suddenly storage bandwidth of over 1GB/sec per device was possible without RAID configurations. WD was playing catch-up, but they were catching up quickly. In the two years since their acquisition of SanDisk they have also released WD-branded SSD products for all sectors including mainstream ‘WD GREEN’ and more business-oriented ‘WD BLUE’ drives. This quick development has been aided by the vertical integration of their company for these products: they manufacture all the core components of the drive, from flash through to memory controller and final drive assembly, ensuring parts are manufactured to a tough and consistent standard. 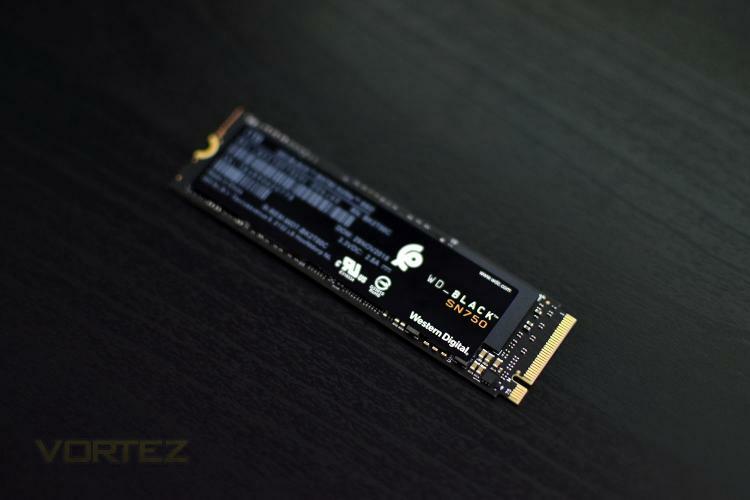 But it’s with WD BLACK NVMe SSDs that they have finally begun to flex their performance muscles and approached the specification’s current limits.